Welcome to the One Little Word Blog Hop! please link your blog at the bottom of the post so we can all visit you as well. This is my second time doing Ali Edward's OLW course. and I only completed January's prompts and then pretty much abandoned it all by March. adapt the prompts so they fit in. fit into the planner and just used my old crop-o-dile to punch new holes. I copied someone's glitter pocket that I saw as part of the OLW facebook group. Sorry I can't seem to find whose it was now. 1. It felt good to be physically creative with paper and glue. Its been a long while since that has happened for me. It never ended up on my board. 3. I noticed I found 3 of my past words and had included them naturally. So I deliberately added to last 2 to make a complete set. 4. I bought a Yoga magazine and didn't want to cut it up too much because it reminded me how much I like yoga and maybe I might want to get back into it. 5. I cut out way more stuff than would fit. But once I was done, I was done, and all the rest went into recycling without a second thought. (I'm not sure if I'm double commenting or not because I thought I hit publish already, but nothing happened....) The glitter pouch is awesome! I love your word and how you totally embraced the February prompt despite not having used paper and glue in a while. I'm in the same boat, so this is helping me realize I can do this old school and not all digitally. 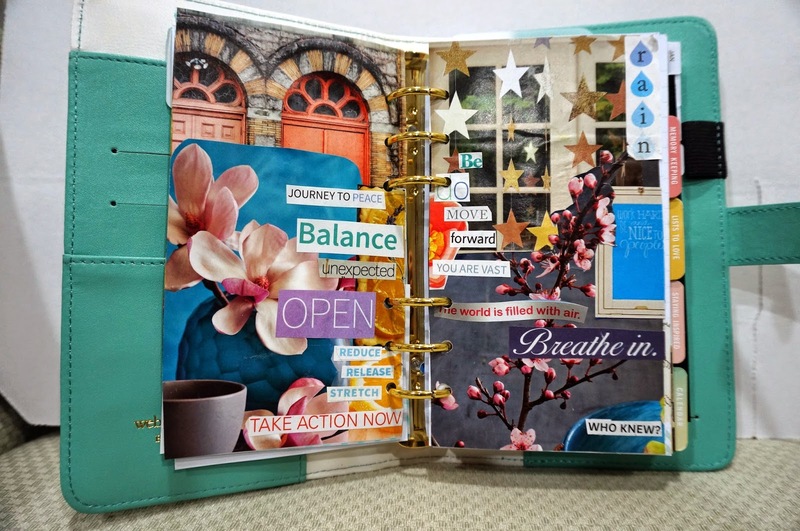 I love the idea of adding your vision board to your planner! 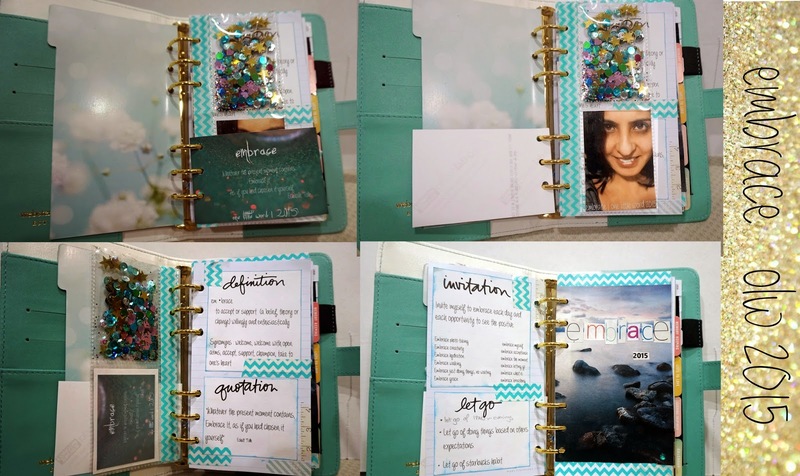 I'm using a Heidi Swapp planner for OLW and I didn't think of putting my vision board in. I should take a photo of it and include that. I also love how your past words found their way on to this board, what a great reminder! Great word - one I use all the time but have not embraced the fully meaning of yet (yes sadly pun intended). The idea of your vision board right in your planner is awesome - such a great reminder!